The Lemongrass Restaurant can be found on the first floor of Latifa Towers, a mixed-use building, providing space for commercial, residential and retail activities. 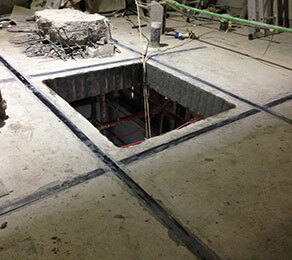 In order to install a dumbwaiter lift service, there was a necessity for the Lemongrass Restaurant to introduce a void into the existing post-tensioned slab, which would require strengthening using a carbon-fibre-reinforced polymer (CFRP) system. As the new opening would be created in a post-tensioned slab, a PT specialist was called upon in order to ensure the correct procedure was followed. CCL was commissioned to undertake the repair and strengthening works on this project, which included carrying out a detailed design check and production of a method statement before activities began. In terms of the strengthening system itself, CCL installed CFRP plates that were bonded to both the top and bottom of the slab. The company managed to complete works within two weeks of the project start date – resulting in minimal inconvenience and removing delays altogether.